120 Days Same as Cash $683.00 - Delivery & Setup No Charge. 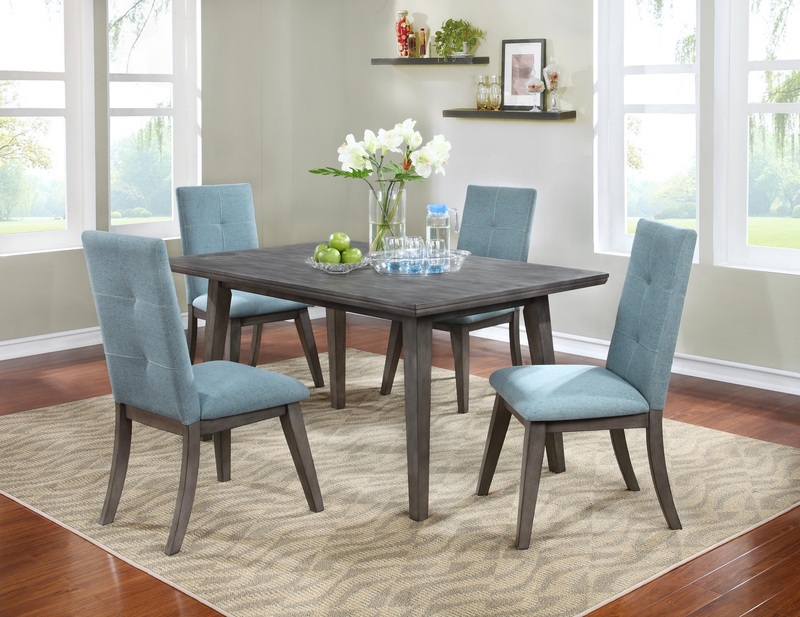 This trendy dining room shows off clean lines, comfortable seating and a luxurious grey finish with a reverse diamond matched table top. This set will bring a modern/transitional style into any room.